Rather than seeking to wrap itself in the Cross of St George in the hope of looking patriotic, the Labour Party should show us that they really do believe in this country by raising the flag over a parliament for England. “Who Will Speak For England?” demanded the Daily Mail in a recent front page editorial, wrapping itself in the flag of St George to complain bitterly that the English have been betrayed by all of the mainstream political leaders, the BBC, Tory Eurosceptics and “the dismal ragbag of policy-wonks, cranks and nonentities in the feuding factions of the ‘out’ campaign.” This stirring example of pugnacious patriotism was somewhat undermined by the clarification, buried deep within the black-bordered text, that when they say “England” they actually mean the whole of the United Kingdom. That might have been okay in 1939, when the question was first raised in the House of Commons, but in the wake of a resurgent Scottish nationalism, is it still permissible to anglomorphise the debate about our membership of the EU in such a way? The Scottish independence referendum has changed the landscape of domestic politics, forcing the issues of nationalism and the constitution onto the agenda of a British parliament created to keep both in check. And while the Tories may feel more comfortable with the politics of identity, the Labour Party seems unsure how to respond. A dogged unwillingness to recognise the difference between the nationalism of the SNP and that of the BNP has been part of their undoing in Scotland. Yes, Dr Johnson declared that patriotism was the last refuge of the scoundrel, but that criticism was directed at scoundrels, not patriots. As leftists, we are all aware that there are many types of socialism and find it frustrating when our detractors accuse us of holding the same totalitarian views as Stalin. It should not therefore surprise us to find that there are also many types of patriotism and that not everyone who loves their country is a Nazi. In 21st century Britain, identity is both more personal and fluid than it has been in the past. How else could it be in a country where, uniquely, everyone is allowed to have two flags? We all share the union jack, but also have the right to fly the flag of the country in which we were born. In my case it’s the red and white cross of St George, but for my partner, it’s the red, black and white flag of Trinidad and Tobago that expresses the duality of her British identity. Whether the Mail likes it or not, patriotism, for the English, is a fuzzy thing. Without a national parliament, we are denied the opportunity to see what we would look like if the veneer of Britishness were removed. And so, by default, we often find ourselves being represented by scoundrels brandishing their Englishness like a two-fingered salute against the world. Is it any wonder that many in England would rather let sleeping bulldogs lie? Yet the fuzzy sleight of hand between our British and English identities, able to be slipped on and off with the ease of a rugby shirt or an Olympic singlet, has been brought into sharp focus by the resurgence of Scottish nationalism, reminding us all that the territorial definition of Britain has changed with each century since it was founded in 1707. This wake up call was most vividly expressed last year when Scottish voters sent the Labour Party home to think again. Scotland is now a country where the political discourse is dominated by arguments about the constitution. With so much riding on the result for Labour’s new leadership, Jeremy Corbyn cannot afford to go into the Scottish parliamentary elections this May without addressing the issue. Failing to say anything about the relationship between Scotland and the rest of the UK would leave Labour as the de facto unionist opposition in Holyrood, a position that had disastrous consequences at the general election. Offering the Scots more devolution is unlikely to garner much support when most believe that promises made during the referendum to entice voters to reject independence have not been delivered by Westminster. Paradoxically, Labour’s best bet for changing the debate in Scotland may lie over the border. Among the adherents of the belligerent nationalism that has flourished in England, it’s a widely held belief that people are “no longer allowed to be English.” Although they are never able to identify who forbids it nor how it is restricted, their arguments chime with the sense of powerlessness felt by many in the face of globalisation. The tribal patriots may be in a vocal minority and pandering to them on issues like immigration would be akin to making Roosh V the Minister for Women, but Labour should recognise that the devolution settlement has left England behind. While Scotland, Wales and Northern Ireland have their own anthems and assemblies, the English have yet to benefit from the radical decentralisation initiated by the first Blair government. As London becomes ever more powerful, those living outside of the south-east are being left at the mercy of Whitehall cuts. George Osborne’s Northern Powerhouse initiative is piecemeal, divisive and may deliver more problems than solutions. Like the Tories plan to allow English votes for English laws, it fails to give the people of England a clear, distinctive voice. The most radical part of the devolution settlement has been the introduction of proportional systems of voting that have allowed new administrations to be formed that disrupt or work across traditional party lines. By ensuring that the government is supported by a majority of the electorate, the idea that the people have no voice can be countered. The best way for Labour to respond to those who believe that they are no longer allowed to be English is by offering a new devolution settlement for England, with a parliament or regional assemblies elected by proportional representation. The promise of a new federal arrangement between the nations of the United Kingdom would resonate across the political divide. Rather than seeking to wrap itself in the Cross of St George in the hope of looking patriotic, the Labour Party should show us that they really do believe in this country by raising the flag over a parliament for England. 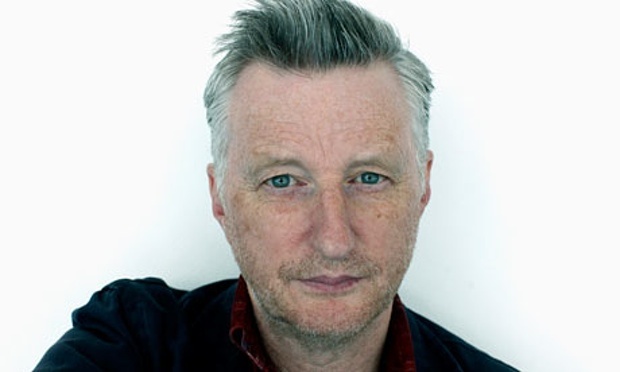 1 Comment on "Billy Bragg: Here’s how Labour can truly “speak for England”"
Does this mean that Billy will resurrect his video on the need for English Parliament. The one he denied making till he was outed on twitter. Time he made his mind up. is he for or against and what wil it be next month.